Shopping for Green Lantern Mini-Figures? Green Lantern Bearbrick that lights-up! Watch the movie, pick up the Bearbrick! Limited edition San Diego Comic-Con 2011 Exclusive! 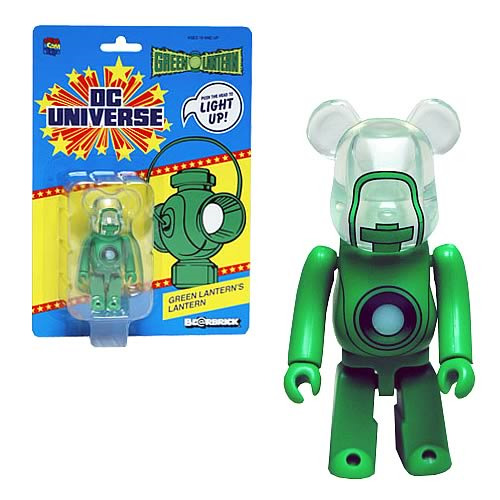 As Green Lantern takes to the big screen this Summer, be sure to grab this exclusive Bearbrick equipped with a light-up lantern! Limited edition of only 1,500 copies! This exclusive figures stands about 3-inches tall. Requires 3x "SR621" batteries. Ages 15 and up.